Atrium Office Building – Duggan Brothers Ltd.
atrium almost 500m2 in area. Structure was reinforced concrete frame with structural steel support to roof and glazed atrium wall. Façade was aluminium curtain wall, glazing and rainscreen to offices, and structural glazing to atrium. The base build contract included complete fit-out of cores and communal areas with offices plastered and painted to offer flexibility for letting. 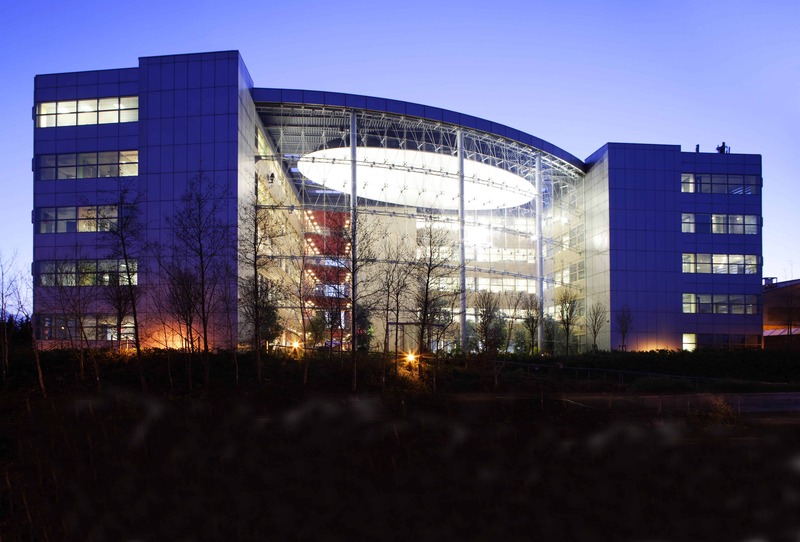 Façade was aluminium curtain wall, glazing and rain screen to offices, and structural glazing to atrium.